A union strike at the 'Sleep-Tite' Pajama Factory generates plenty of 'Steam Heat' in this toe=tapping comedic love story! 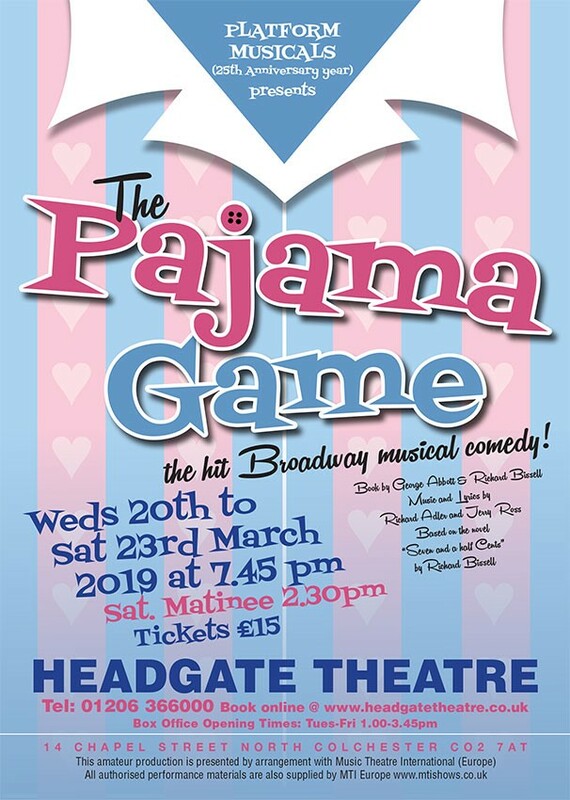 'The Pajama Game' is a classic award-winning 1950's musical comedy that was made into a popular film starring Doris Day. With an energetic score that includes 'Hernando's Hideaway', 'Hey There' and 'Once a Year Day', you won't want to miss this musical treat!